Welcome to what will become a lengthy article over time. Unlike other articles on this site, this one is a collaborative effort between myself and other vintage Tamiya enthusiasts, in an effort to collate information about the differences between original vintage Tamiya R/C kits from the 1970s and 1980s, and the remake kits that began in the 2000s. As much as I usually like to keep most of this website “not too technical” in tone, so that it may be enjoyed by anyone with a casual interest in vintage R/C cars, sometimes you’ve just got to roll up your sleeves and get a bit nerdy. So that’s what’s happening here! The purpose of this article is to help collectors of original vintage Tamiya R/C models identify original cars and parts, and distinguish them from remake cars and parts. The goal is to help those collectors enjoy collecting original vintage items, and to also avoid being ripped off by sellers who try to sell remake cars and parts using words like “vintage” or “original”. As with all collectibles in the world, original Tamiya cars are the ones that are the most sought-after by collectors. This is simply because original things have provenance in terms of the era they were made. In this case, it’s about what’s considered the “heyday” of early R/C cars – back in the 70s and 80s when the hobby was new and they were the hot toy that almost every kid dreamed of owning. The good news is, there are many differences between the original Tamiya R/C kits and those that have undergone remakes in recent years, so it’s actually not that hard to identify which is which (if you know where to look). In some cases, the differences are widespread and obvious. In others, they are not so obvious – yet still permeate throughout the kit. 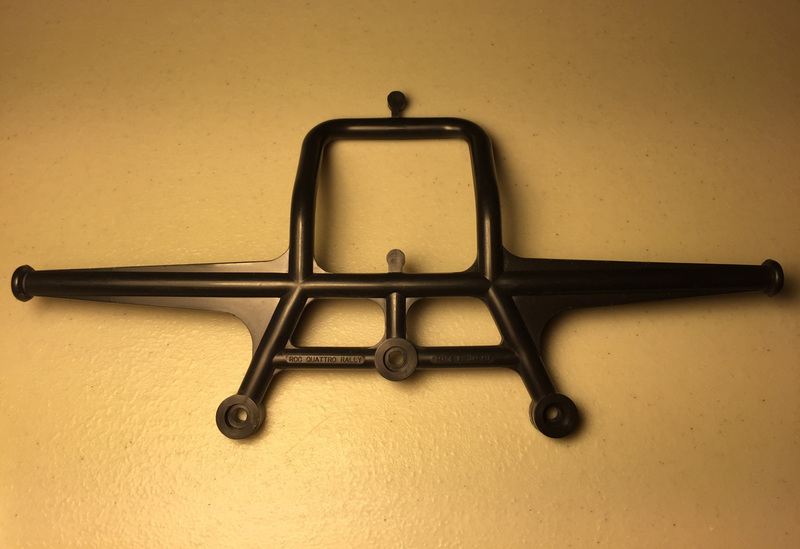 But even in cases where remake components are near-identical, there are ways for collectors to check things like colour, flexibility, embossed stamps in plastic, and parts sprues (the molding frame that many plastic parts are initially attached to) to confirm whether something is original. As with all collectibles, there is enjoyment to be had from knowing that something is vintage/original. And most people appreciate the notion that original collectibles have strong nostalgia value. This is why they tend to be the most sought after examples of any object, in any field of collecting in the world. Before we get into the details, here’s a quick overview of the types of parts differences you will find between vintage and remake Tamiya kits. Remolded and physically different to the original part. Not included (or replaced with something different) compared to the original kit. Made from different materials compared to the original part, resulting in different colour, flexibility or smell. Embossed with different writing either on the part, the sprue, or both. The embossed writing is interesting because it actually shows how times have changed – things were simpler in the 80s and the embossed writing carried more simple information as a result. On modern and remake parts, it has changed, and carries a bunch of (somewhat ugly) numbers and codes. But the good thing is, this means the embossing can be used to easily identify vintage parts over modern and remake parts. A vintage part showing only “Made in Japan” and a model name. And that’s it. Those are the only things you will find embossed on vintage parts, with a few exceptions where Tamiya added some additional fancy writing for decoration. A remake part showing the plethora of modern codes on the sprue. EU compliance material stamps with alphabetic codes, e.g. “ABS” (Acrylonitrile Butadiene Styrene), “PS” (Polystyrene), “PA” (Polyamide) or “PC” (Polycarbonate). These never appeared on vintage parts. Tamiya name, e.g. “© Tamiya”. This never appeared on vintage parts. Year, e.g. “© 1979”. While year did also appear on vintage parts, the use of the “©” symbol proves a part is a remake part. Vintage model number e.g. “58047”, PLUS product code e.g. some 7 digit number like “0984071”. Even though a vintage model number like “58047” refers to a car from the 1980s, such numbers never actually appeared on vintage parts. Likewise, product codes never appeared on vintage parts. 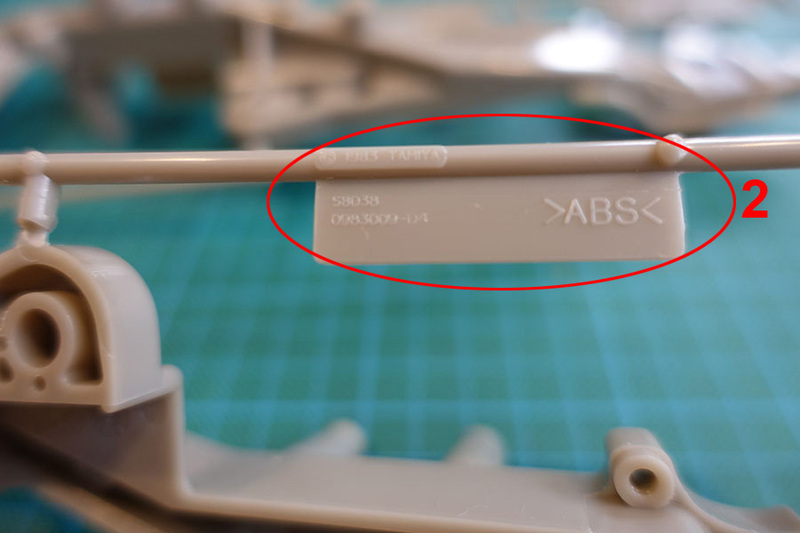 As indicated above, it’s important to note that Tamiya has confused matters slightly by often putting the vintage model number and vintage model year, on remake parts. It was misleading for Tamiya to have done this. But don’t worry! You simply need to look at all the embossed writing on a part to get the complete picture. If you also find things like “©”, a 7-digit product code, or those EU compliance stamps like “PA” etc, you can guarantee it’s a modern or remake part. Please note: These pages are heavily under construction. We are only just getting underway with this information. It is hoped that all remake information will be added, over time. The following is a list of the Tamiya models that have undergone remakes – that is, Tamiya have created new models with new model numbers, that emulate the original models of the 1970s and 1980s. Do you have some specific knowledge about the differences between the original Tamiya R/C kits and their remake versions? If so, we need your help! This page is a collaborative effort between collectors. Option 1: Visit this thread on the Tamiyaclub.com forums. Read through the existing posts. And if your information is not already covered, please share it. Option 2: You may wish to comment in the comments area at the bottom of this page.